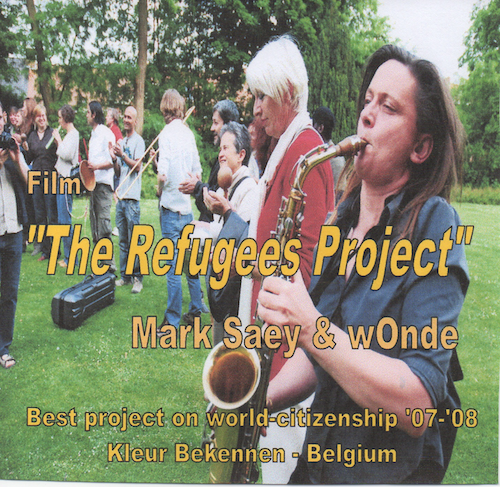 In order to develop the LWZ model (see NEW) we undertook The Refugees Project. 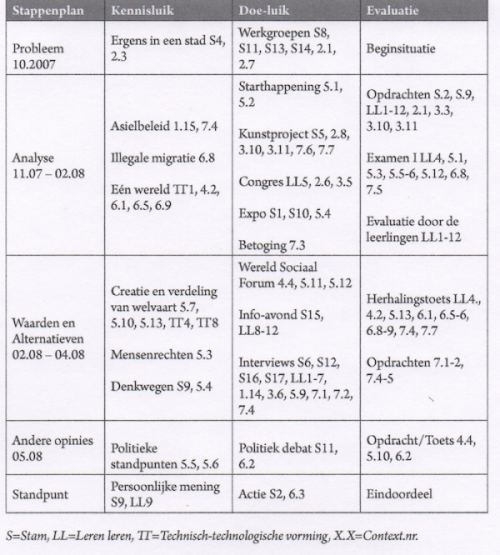 TRP was set up at the public school in Oudenaarde in 2007-08 as a participative intervention study on the feasibility and effects of the LWZ general didactic theory. 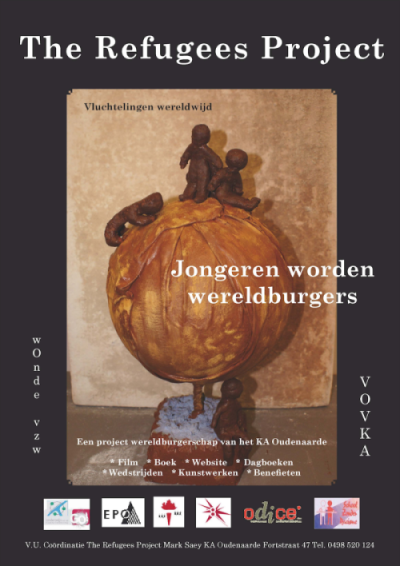 For one year 20 pupils of the Human Sciences and Economics-Modern Languages worked on an LWZ about the world wide refugee problem and undocumented migrants in our own country. Around it smaller satellite projects were constructed in other classes. The detailed story and research results of TRP are written down in the book Young people become world-citizens (see NEW). A summary, with parts of the syllabus and fragments of the documentary, was included in The Manual of the WELT project, here on this website. This was the LWZ didactical plan for the core project, with content-wise connected knowledge- and doing-part. The experimental real-time documentary by wOnde was made for a didactical purpose: to be used in teacher trainings.